Sunny days make me smile. They also inspire me to go out for a brisk walk. I walked about an hour before my Saturday writing group at 10. It was a great session, and we actually got some work done in between the laughing and sarcasm. We have the sarcasm down to a science. We stopped for lunch afterwards. (Missed you, Julia) I ran a few errands and drove home. The lovely sun was sinking slowly into the west, so I donned my gym shoes and headed out the door for an evening walk. (I walk a lot, as you may have noticed. It’s my quiet thinking time.) As the solar sphere made its shimmery descent, I was captivated by the sultry shadows cast along the way. OK, now I’m just getting bizarre and smaltzy, using my high fillutin’ two dollar vernacular. Ha! 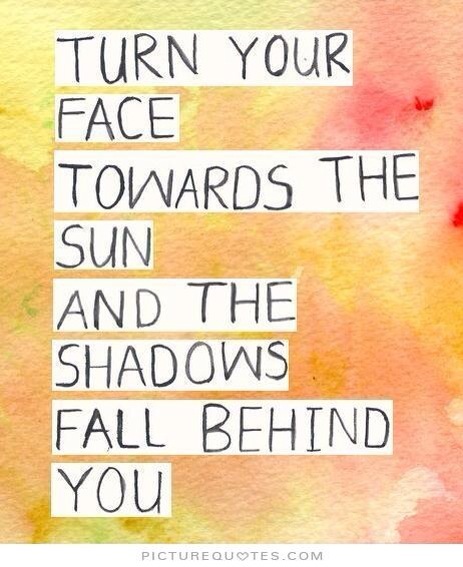 Basically, I love shadows. I thought this one was very descriptive. 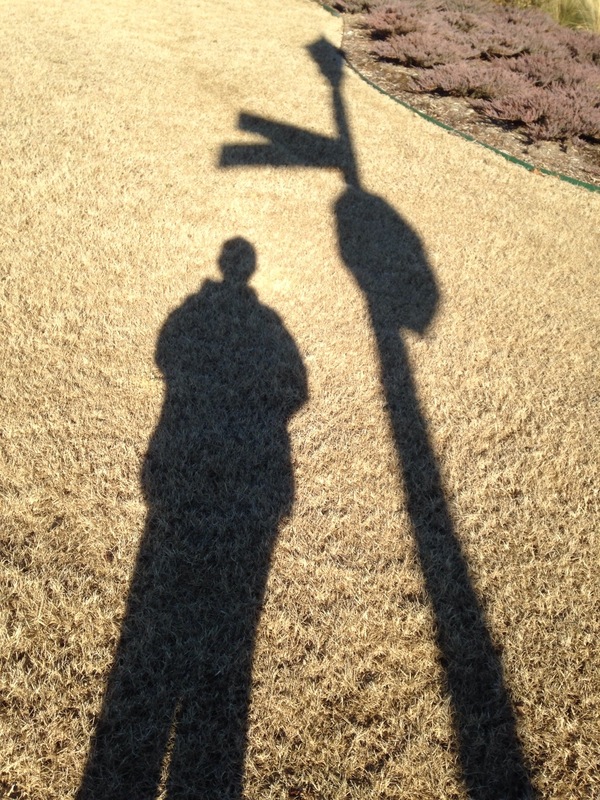 My shadow between the crossroads and the stop sign of life…think about it. Pretty cool! 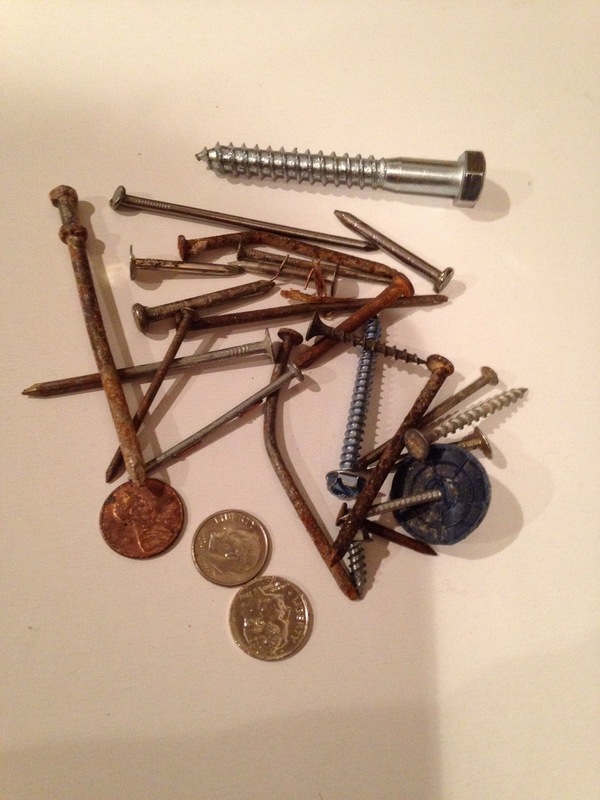 Then, of course, as I stroll and patrol the streets, I’m always finding nails and sharp objects. So, I don my super hero cape, pick up the nails, and save the world from mass destruction and flat tires. Here is a week’s worth of super hero activity. I also find lucky pennies and coins as payment for my hard work. It was a lovely Saturday. I enjoyed the sunsine, the shadows, and saving the world.